BRIEF HISTORICAL SUMMARY: The Kromfohrländer is one of the newest German breeds recognised internationally by FCI since 1955. His name derived from “krom Fohr” (crooked furrow) points to his origin in the “Siegerland” region. To his ancestry of Wire Fox Terrier and Grand Griffon Vendéen, he owes his lovable nature, temperament and character. GENERAL APPEARANCE: Medium size. Two separate varieties, distinguished by coat type. Rough coat: Short to medium length. Smooth coat: Short to long. IMPORTANT PROPORTIONS: Length of body slightly greater than height at shoulder. BEHAVIOUR / TEMPERAMENT: Adaptable, docile, high-spirited companion and housedog. Skull: Slightly rounded, no frontal protuberance. Frontal furrow indicated. Nose: Medium size, nostrils well opened, preferably black, brown permitted. Muzzle: Straight bridge of nose, moderately broad, tapering lightly to tip of nose. Lower jaw fitting to upper jaw. Lips: Close fitting, not too heavy, labial corner closed. Jaws: Shape conforms to normal position of incisors. Cheeks: Fitting tight from lower to upper jaw up to the cheekbone. Teeth: Scissor bite, pincer bite permitted. Eyes: Dark brown, medium brown permitted. Set slightly slanting. Ears: Set on high at side, triangular shape with rounded tips. Lying close to head (Not a Terrier ear). Slightly flapping ear still permissible. Profile: Rising obliquely, lightly arched. Shape: Strong, well muscled towards back. Skin: Fits close to neck. Topline: Slightly longer than height at withers, harmonious. Loins: Slightly narrower. Well developed. Rump: Almost horizontal. Well muscled. Chest: Moderately broad and deep. Ribs lightly rounded. Forechest slightly pronounced. Belly: Tucked up towards loins, well developed. Tail: Medium length, carried slightly curved, not docked. Slight ring tail permitted. Set on strong. Well coated according to type of body coat. General: The position of the legs seen from the front is straight and vertical. Shoulders: Well muscled and sloping. Upper Arm: Angulated to shoulder-blade, well muscled. Elbows: Angle of elbows open, almost at right angle. Fore Arm: Slightly longer than upper arm. Vertical to ground and strong. Pastern joint: Well developed but not too strong and thick. 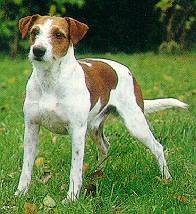 Pastern: Moderately broad and lightly sloping (not a Fox Terrier stance). Front Feet: Lightly arched, well closed toes. Nails strong, pads well developed. Pigment dark. Pale nails permitted. General: Stance seen from rear, legs standing straight to ground. Upper thigh: Well muscled. Angle of hipjoint slightly open. Lower thigh: Sinewy. Forms an obtuse angle to upper thigh. Hock: Similar to frontpastern. Without dewclaws. MOVEMENT: At walking pace, even, far reaching with good stride. Flowing movement. Likes to jump. SKIN: Taut connection tissue. Pigment according to coat markings. Rough coat (short to medium length): Thick, rough texture. 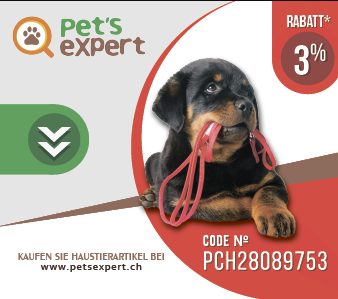 Length approximately 3 cm on shoulders to 7 cm at withers, on back, on ribs and fore- and hindquarters and with an undercoat which consists of short soft hair. Coat on back and fore-and hindquarters is harsher than on sides. Coat on jaws is of adequate length, beard is desirable. Smooth coat (short to long): The greatest value must be attached to correct coat. Growth of hair neither exaggerated nor too short. On back: Coat 3 – 7 cm, close fitting. Coat may be longer on underside of neck and on chest. Tail: With good plume. Coated to the tip. Backside of front legs: Feathered. Backside of hind legs: Breeches. Below Hocks: Coat considerably shorter. Too profuse fringes not desired. Dense short hair between the toes. Head: Coat considerably shorter. Top knot as well as beard not desired. On body: coat sleek, firm, smooth, close fitting. Dense with good undercoat. On body: Basic colour white. Light brown to very dark brown markings. Variously large patches or saddle. On Head: Light brown to very dark brown markings on cheeks, above eyes and on ears; placed as symmetrically as possible. Divided by a white blaze which reaches up to the forehead, or even up to the nape of neck. HEIGHT AND WEIGHT: Height at withers: between 38 and 46 cm, Weight: Approx. 10 kg to 14 kg. SERIOUS FAULTS: Brown markings too pale. Black patches without brown undercoat. Absence of markings on back. Uneven markings on head giving wrong expression. Light eyes. DISQUALIFYING FAULTS: Albinism. Absence of more than two molars and more than 3 premolars. Overshot or undershot bite; any scientifically recognised hereditary diseases.